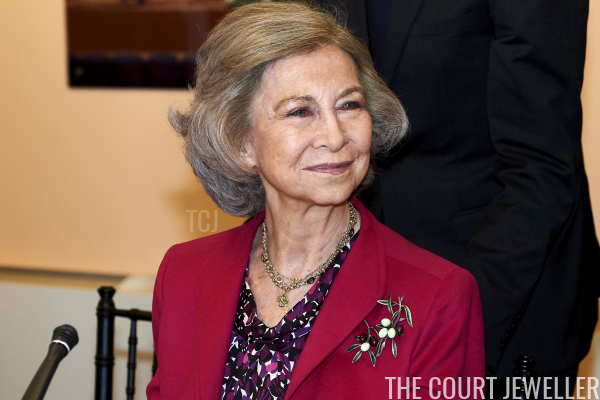 Queen Sofia may be part of the Spanish royal family now, but she was born a Greek princess -- making her brooch choice this week particularly appropriate. 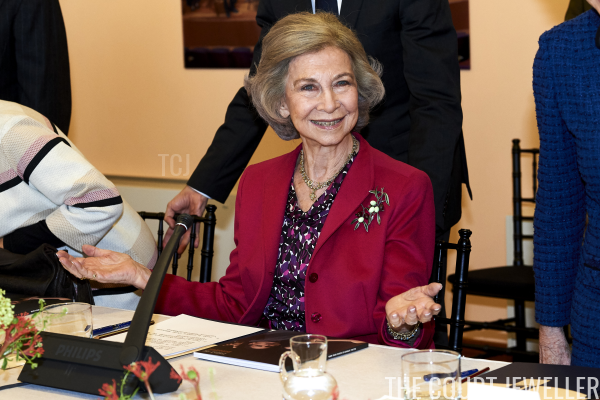 Sofia was in Madrid on Tuesday for a meeting with the board of the Reina Sofia School of Music. 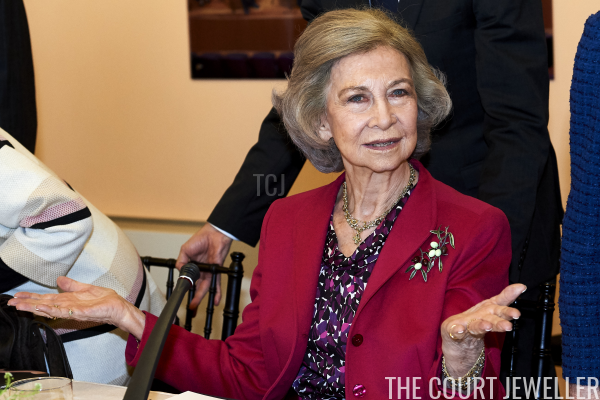 In this photograph, she poses beside Manuela Carmena, the Mayor of Madrid, and Paloma O'Shea, the concert pianist who is the founder and president of the school. 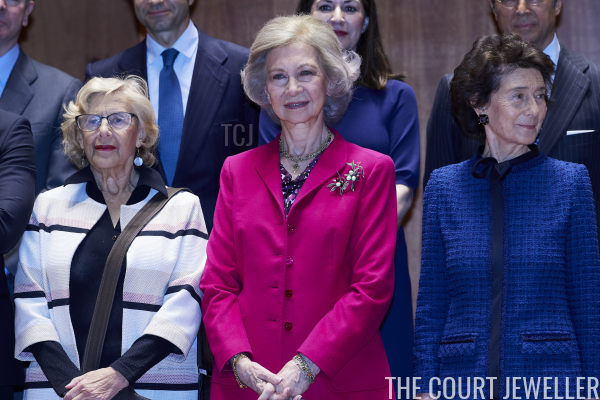 Sofia wore signature pieces of jewelry for the board meeting. 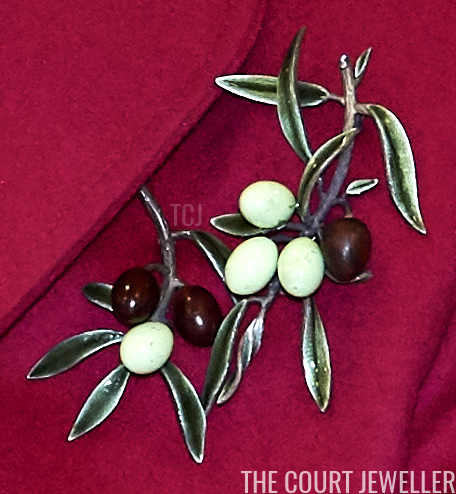 On her jacket, she pinned a gorgeous brooch in the shape of an olive branch. The peaceful symbol is, of course, associated with her native Greece. ...and bracelets on each wrist. 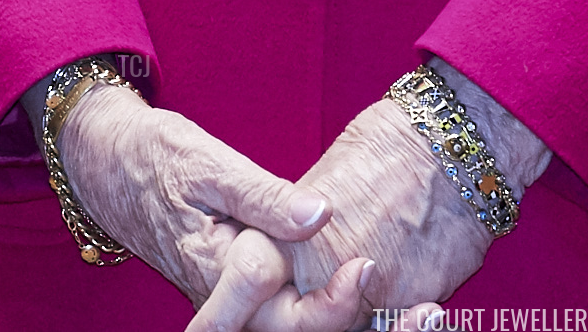 I really like royals who have developed a signature jewelry style -- Sofia and her gold layered pieces, the Queen and her pearls, Margrethe and her daisies. 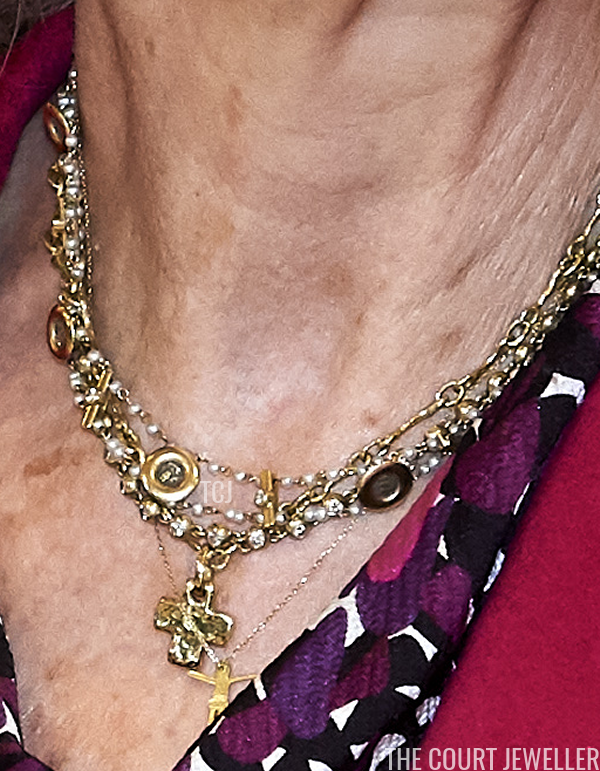 How many of you have signature jewelry pieces that you wear regularly?